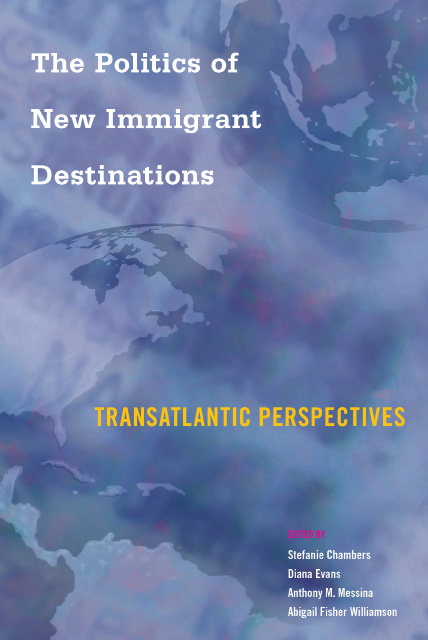 A book co-edited by four Trinity College professors called The Politics of New Immigrant Destinations was published this month by Temple University Press. Stefanie Chambers, Diana Evans, Anthony M. Messina, and Abigail Fisher Williamson, who all teach in Trinity’s Political Science Department, worked together on compiling the volume, which examines the challenges posed by the proliferation of cultural, ethnic, and religious diversity in new destinations for immigrants in Europe and the United States. The book looks at political responses and successes of integrating immigrants, offering perspectives from both immigrants and natives. The book’s introduction defines “traditional immigration” as happening in late 19th or early 20th century America, or in post-WWII Europe. Any locales today that were involved during those times would still be considered traditional. “New immigration,” as explained in the book, makes reference to other locations such as Ireland, and to immigrants favoring rural and suburban areas over cities. The Trinity professors all had some previous experience studying immigrants and decided to organize an event discussing the emerging topic of new immigrant destinations. When Trinity hosted the “Challenges and Opportunities of Diversity in New Immigrant Destinations” conference in October 2013, Messina, who is a John R. Reitemeyer Professor of Political Science and a leading scholar in European migration, saw it as a true learning opportunity. 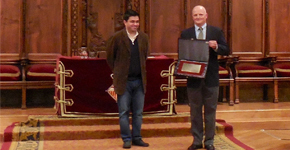 The conference drew scholars from the U.S. and Europe who discussed findings from their respective areas of expertise. The professors brought some of their students along to help mediate and lead the discussions. After the conference, the professors felt that there was enough material to edit together a volume. The professors helped some of the scholars who presented at the conference in refining their work and also accepted new submissions for the book. The final product includes research subjects ranging from relationships between Hispanics and African-Americans in the South, to Latvian resistance to immigration. In reviewing material for the book, Chambers, a professor of political science and chair of the department, said that being in the position of an editor – as opposed to a writer – was a new and valuable experience. “Our colleague, Tony Messina, had experience editing several volumes, and that was really valuable for the rest of us, who haven’t done this before. He was able to guide us through the process of how we put a book like this together,” she said. Chambers recently released a book about studying Somali Americans living in Minnesota’s Twin Cities and in Columbus, Ohio. Evans, a professor of political science and an award-winning author and Latino politics specialist, said that she enjoyed the teamwork aspect of working on the project with three colleagues. “It was a great experience. Everybody sort of took on their share. Different people made strong efforts at different times, but we were all paying attention to it,” she said. Messina added that the faculty collaboration that went into The Politics of New Immigrant Destinations is one of the things he’s proudest of. “Political scientists do collaborate with each other, but it’s not that common at Trinity for so many faculty members to collaborate on a scholarly project, and it’s probably that much rarer that when they do collaborate, they do it in a way that has some value for their students,” he said. Williamson, an assistant professor of political science and public policy and law and scholar of domestic migration, is hopeful about the book’s potential impact. 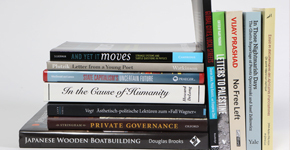 “An edited volume can be useful for charting a research agenda in a new area,” said Williamson, who recently signed a new book contract with the University of Chicago Press. “I think this could really start a discussion and hopefully provide an opportunity for learning across the United States and Europe,” she said. 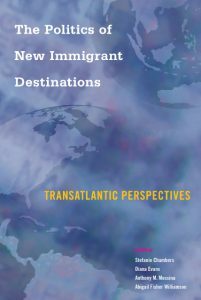 The Politics of New Immigrant Destinations is available in both print and digital copies from Temple University Press.